Cosy and cheerful wine bistro Au Passage is located on a dull-looking back alley where you would never expect to find such a pearl of a restaurant. But that’s the best thing in Paris: discovering fascinating tiny gems here and there. I have never been a huge fan of haricots verts, but there must be something magical in the way Au Passage prepares them, since I have to order them each and every time! 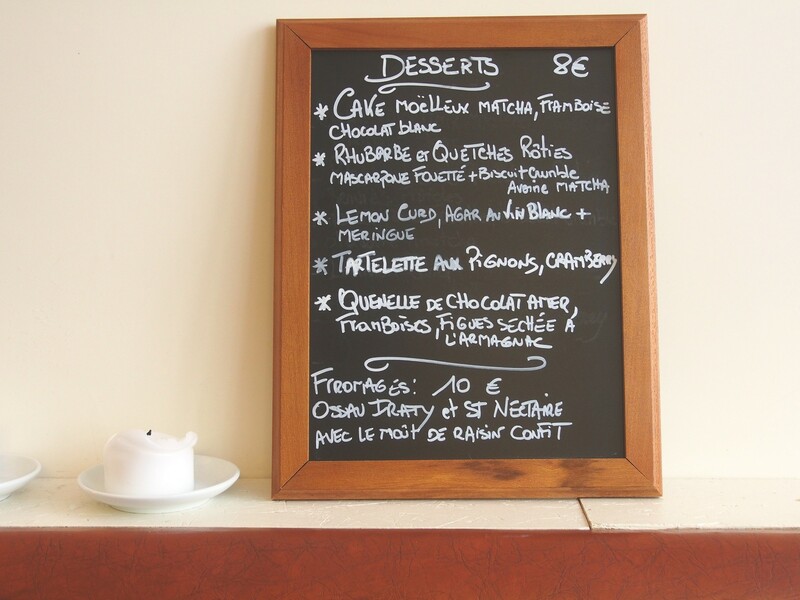 I love Au Passage especially for its petits plats. Fish and meat are of always excellent quality and prepared with love (try pigeon or sardines, for example). And what’s best; their delicious and simple, delightfully priced food is accompanied by exceptionally hearty service. A big chapeau to that supernice bald guy whose name I have unfortunately forgotten. Not a big meat eater either, in France I always go nuts for saucisson. Au Passage’s Saucisson d’Ardeche plate is a lovely starter for the evening (and in my case, also a great closure after all other dishes). 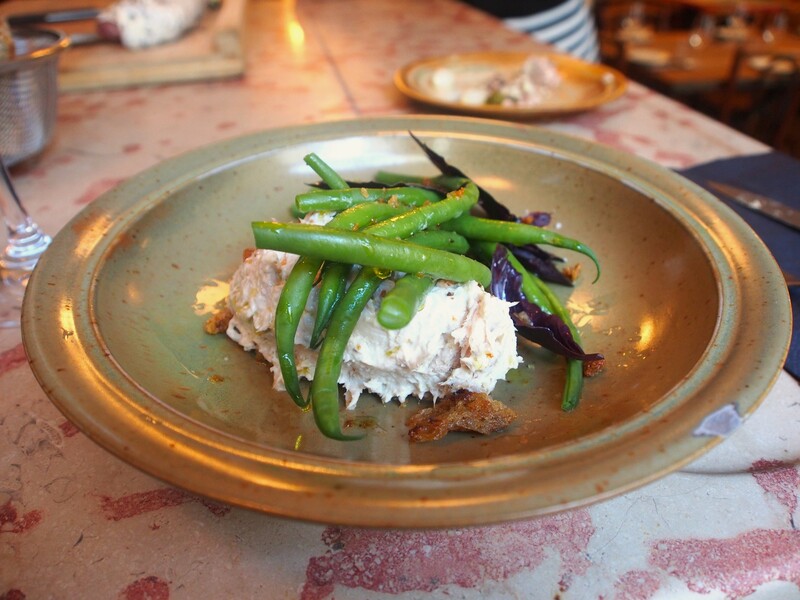 Perfectly sliced and served with mild green chillis and plenty of butter, you should definitely try this plate when next time in Paris! 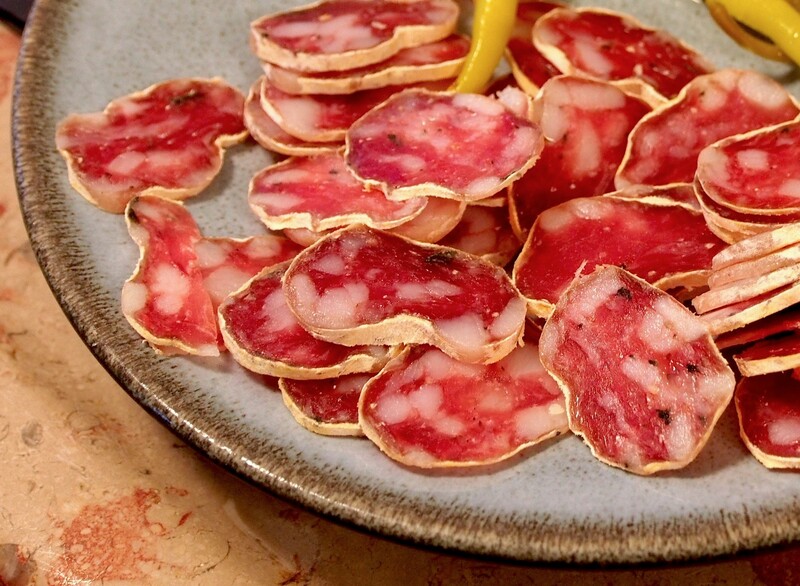 Among the best saucissons I have tasted. While living in Paris last summer, I visited Au Passage every week. Its unpretentious atmosphere, antiquated surfaces and well-chosen background music always create a homey feeling. So homey that you never feel alone when nibbling this and that at the bar desk. As the place is very popular, book a table a few days before to make sure to fit in. During my hot summer weeks in the city, I often chose this nice and cheap Mauzac-based white wine from Languedoc (or another lovely Mauzac from Gaillac-based Domaine Plageoles). Perfect summer whites, both. Au Passage’s nearly 200-label wine list includes lots of great vigneron wines: delicious things from Dard & Ribo, Mosse, Ganevat, Dauvissat, Didier Dagueneau and Fanny Sabre, just to name some, as well as true Rioja classics from López de Heredia and lovely Sicilians from Arianna Occhipinti. Champagne fans can opt for JL Vergnon, for instance, or simple yet charming Dominique Jarry by glass. So if you are up to vivid atmosphere and beautifully worn-out surroundings, I bet you will fall in love with Au Passage. At least I have never eaten a tasteless or sloppily displayed dish here. And after the dinner there is nothing better than stepping across Boulevard Beaumarchais and taking a night walk on the streets of beautiful Marais district as a digestive. 1bis Passage Saint-Sébastien. Mon-Sat 19–01:30. Metro: Richard Lenoir (line 5) / Filles du Calvaire (line 8). Even though I visit Paris 4 to 5 times a year and always try something new, there are certain places from where wild horses couldn’t keep me away. In the halfway of pulsating Rue de Charonne (one of the best streets for evening socialising) Clamato is one of them. Ever since my first Sunday lunch in July 2014, I have been a big fan of these superbly fresh, colourful and exciting seafood dishes. My darling personal trainer friend Anu fell completely for Clamato’s fresh flavours, beautifully acidic marinades and colourful displays. You get the most out of Clamato by going with friends and ordering various dishes to share. 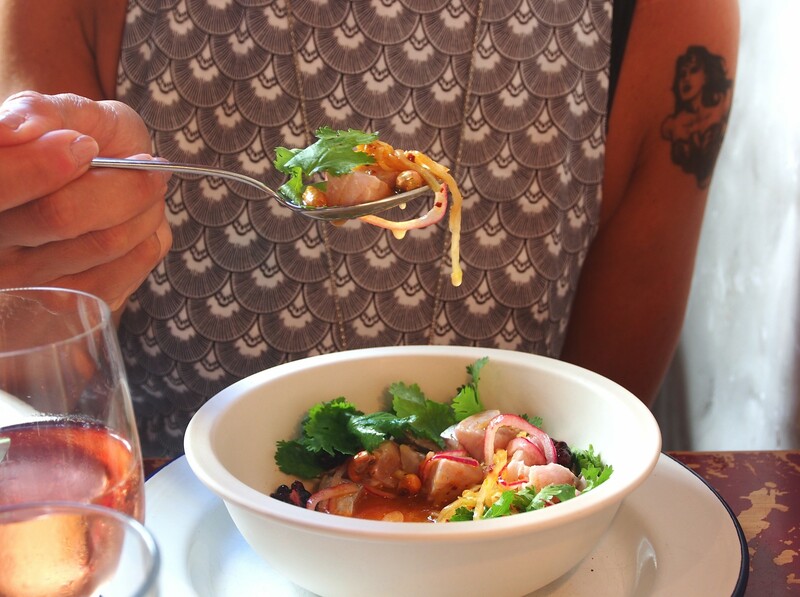 This ceviche was to die for… and also make sure you try their razor clams if they are available! Being a part of the Septime restaurant family, Clamato is hugely popular, but I have always fitted in by arriving early (of course it’s easier for just one person than a group of four). This address is perfect for a relaxed, not-too-heavy dinner, although my favourite time is Sunday when Clamato serves you nonstop from the noon onwards. So go a few minutes before the noon and enjoy the beautiful light of the space while letting the young and good-looking staff take good care of you. The light at Clamato is amazing, especially at the back of the restaurant where you can admire the half-feral inner courtyard garden. I am not a big rosé drinker, but Clamato’s onion skin coloured ‘house wine’ always does the trick as a wonderfully versatile match for most of the dishes. Or if you fancy bubbles, Olivier Horiot‘s lovely Metisse champagne is served by glass as well. 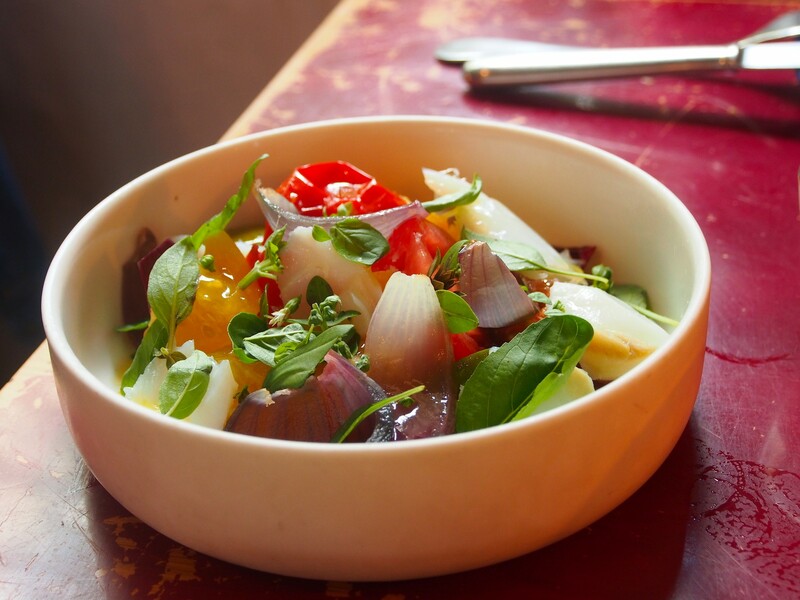 A summery salad does not get any better than this: onions, herbs, tomatoes and cod. With rosé, of course. Also tuna tataki with strawberries and red bell pepper is one of my favourite choices. Or if you favour something heavier, order a traditional newspaper-wrapped fish’n’chips portion… and finish with a real classic: tartelette with walnut syrup and thick, creamy chantilly sauce. 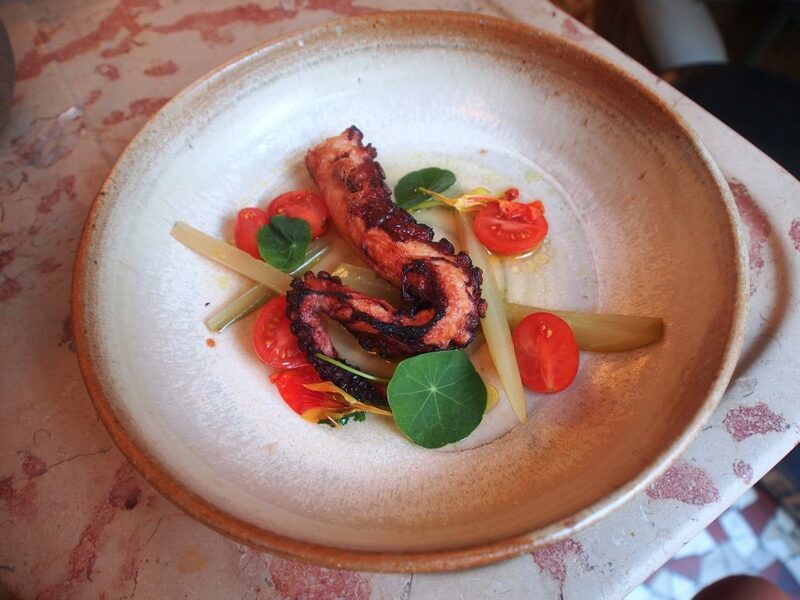 Clamato’s wine list is compact yet well-thought. Normally I order just a glass of rosé or orange wine. But as I found out they had a bottle left of this rarity from one of my favourite vignerons, my decision was crystal-clear. I instantly called my champagne buddy Toni who was coming from the airport that there is no question about our wine choice. 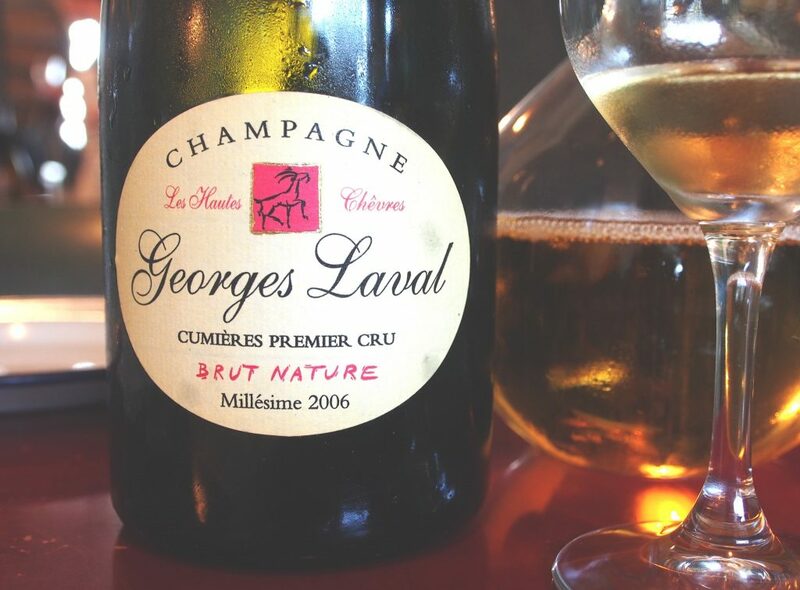 Vincent Laval‘s decade-old Les Hautes Chèvres is still among the best single-vineyard champagnes I have ever tried. 80 Rue de Charonne. Wed-Fri 19–23, Sat & Sun 12–23. Metro: Ledru-Rollin (line 8) / Charonne (line 9). 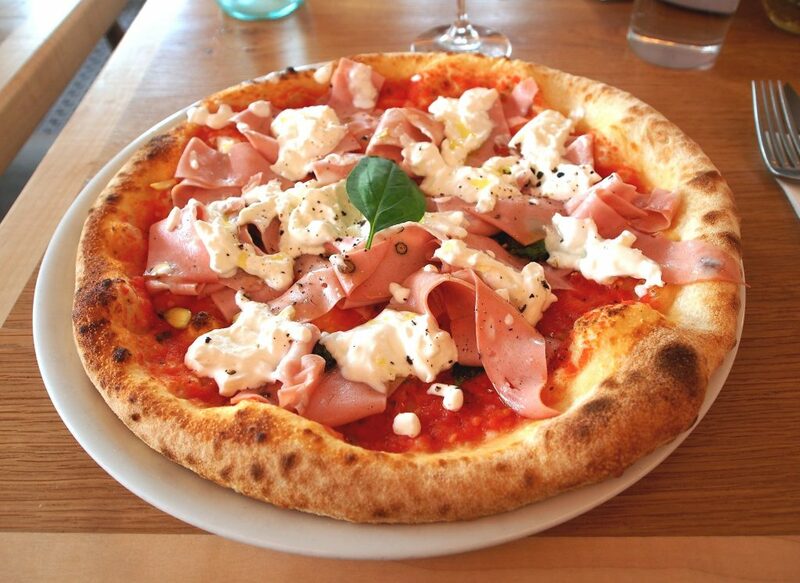 Airy crust (the dough is fermented for three days), superbly fresh burrata, peppery jambon blanc and San Marzano tomato sauce with cherry tomatoes. Would you ask for anything more? 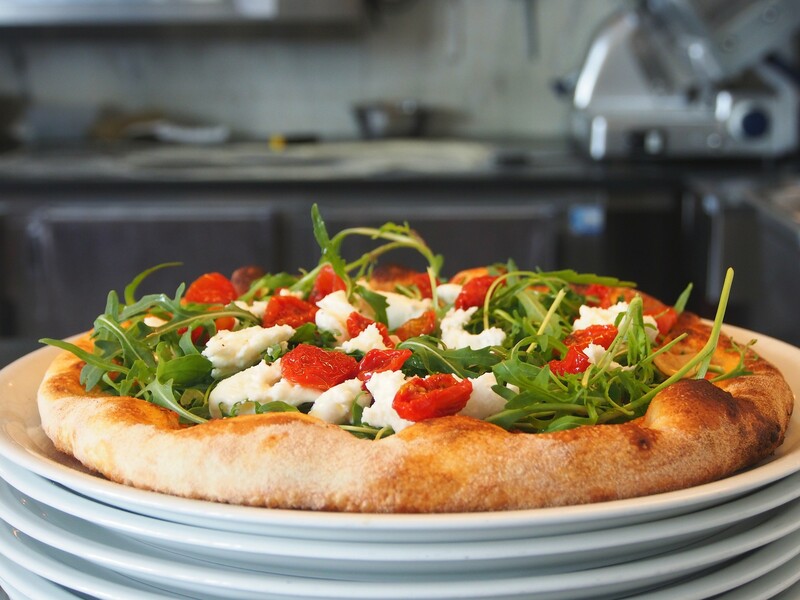 The pizzas come mostly in classic flavours, but Louie Louie also makes an effort in creating new combinations. I especially loved albacore tuna with gremolata (that classic Italian mix of lemon zest, garlic and parsley), red onions and red peppers. 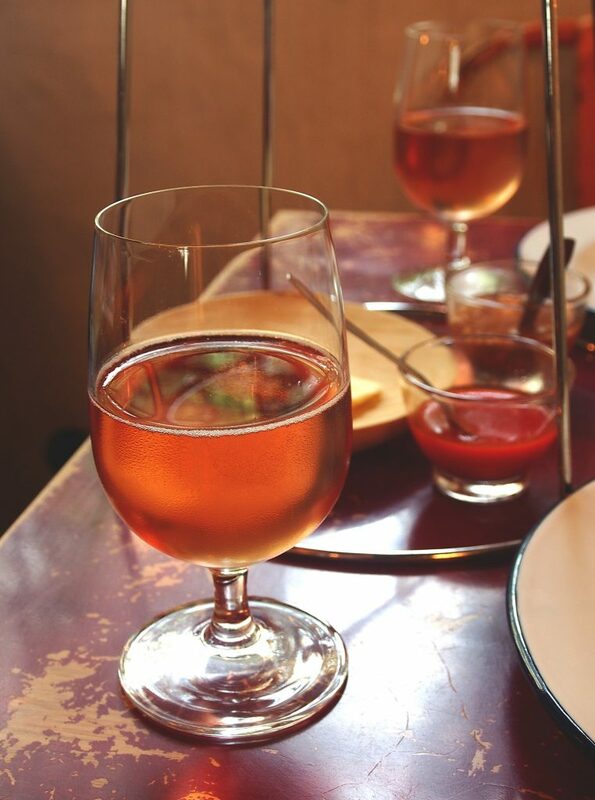 The best thing is that Louie Louie is not an ordinary ‘classic’ pizzeria where you eat well but digest your pizza with just something in your glass. No, their short wine list is intriguing. Last time I ended up trying an old-vine organic orange wine from Emilie Denavolo with the pizza described above… and the combination just rocked. 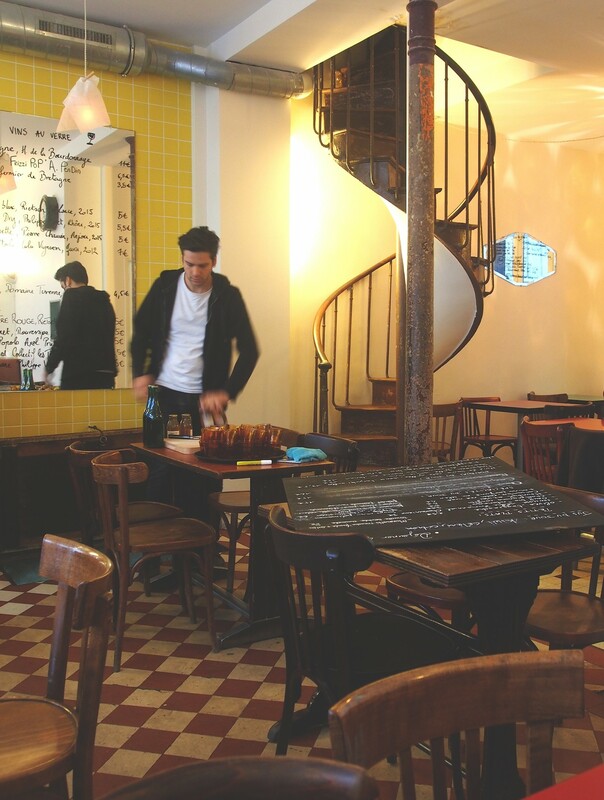 Another great thing is that Louie Louie is open seven days a week – also in August when many good Parisian restaurants close for holidays. The older I get, the more I tend to go for simple things. Rocket salad, fresh mozzarella and cherry tomatoes served with hearty attitude. 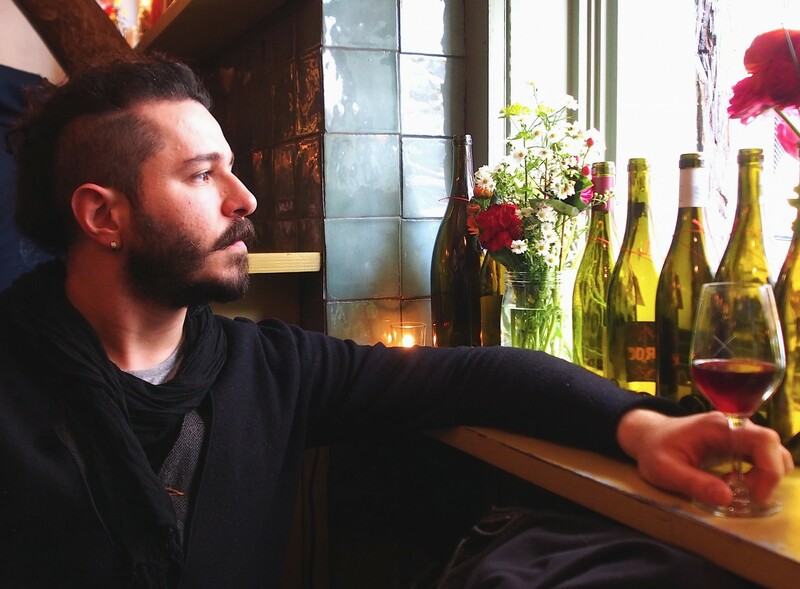 I’m not sure whether their young Italian waiter Tiziano is still working at Louie Louie, but if he is, let’s just say I count him among the best customer service people in entire Paris. When the weather is summery, these delicious pizzas can also be taken away. Yet I still prefer to enjoy them inside; in comfortably noisy, warmly lit and minimalistically decorated Louie Louie. 78 Rue de Charonne. Every day 12–14:30 and 19–23:30. Metro: Ledru-Rollin (line 8) / Charonne (line 9). 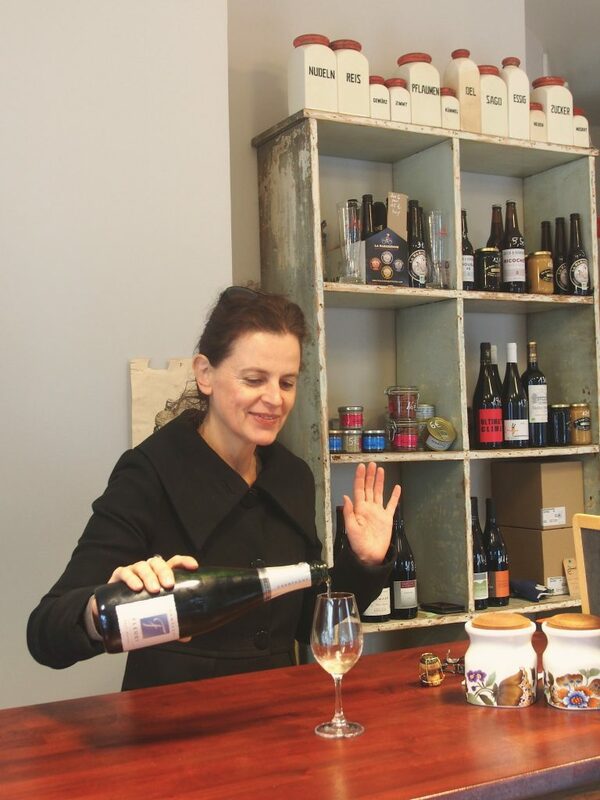 Another member of the Septime family, lilliputian Septime La Cave is a must-go if you are looking for delicious natural wines (approx. 150 various labels available) and packed feeling among the locals. This candle-lit wine bar & wine shop behind a robust wooden facade is a great meeting point with friends, as well as a place to admire stylish, relaxed parisiens and parisiennes. Septime La Cave instantly charmed Deniz, a talented sommelier friend of mine who just won the Grand Champagne Challenge competition of our annual Grand Champagne event in Helsinki. The only negative thing in this tiny wine heaven is their open window that brings the cigarrette smoke inside. But France is much more tolerant towards smoking… and as a woman who puffed for 19 years before quitting for good, I know NOTHING as annoying as ex-smokers complaining about it. Septime La Cave is so tiny that you often end up standing. I don’t mind; it gives you a better general view of what’s going on. The plates are small but tasty, so better grab some friends along and go through the whole menu. Also natural wine lovers tend to look content here since Septime La Cave has a lot to offer, especially for fans of recently passed away orange wine pioneer Stanko Radikon. I love this place most on ice-cold winter evenings when it’s packed with people, great music and warmth. On summer nights it easily gets sauna hot inside. Sometimes I feel it’s a pity that Septime La Cave closes already at 11pm. Be smart and bear this in mind – not only once have I arrived too late. As I pointed out in the beginning of this post, I remain loyal to certain places. Septime La Cave is one of my fav spots for small portions and above all one thing: a glass of Emmanuel Lassaigne‘s Les Vignes de Montgueux – my beloved little Paris tradition. 3 Rue Basfroi. Every day from 16 to 23. Metro: Ledru-Rollin (line 8) / Charonne (line 9). 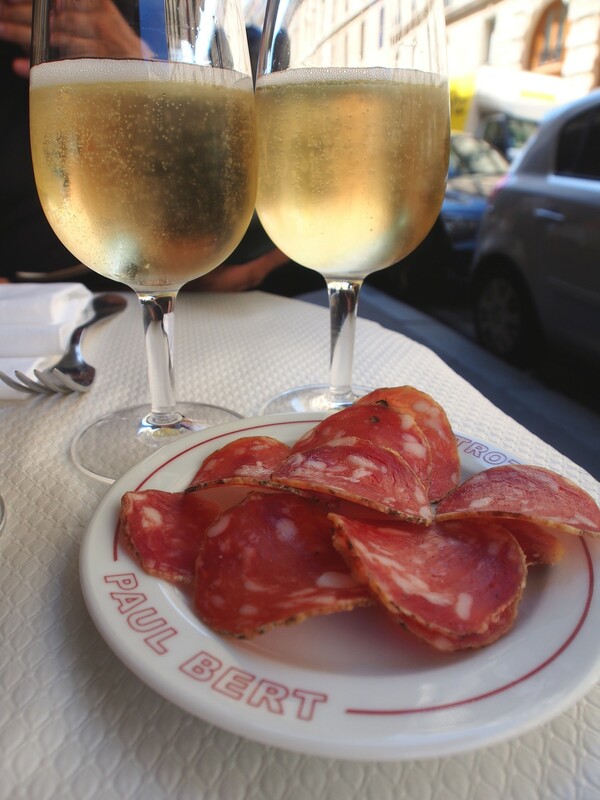 At the southern tip of the 11ème, on short and peaceful Rue Paul Bert, a wine-loving foodie has a lot to choose from. 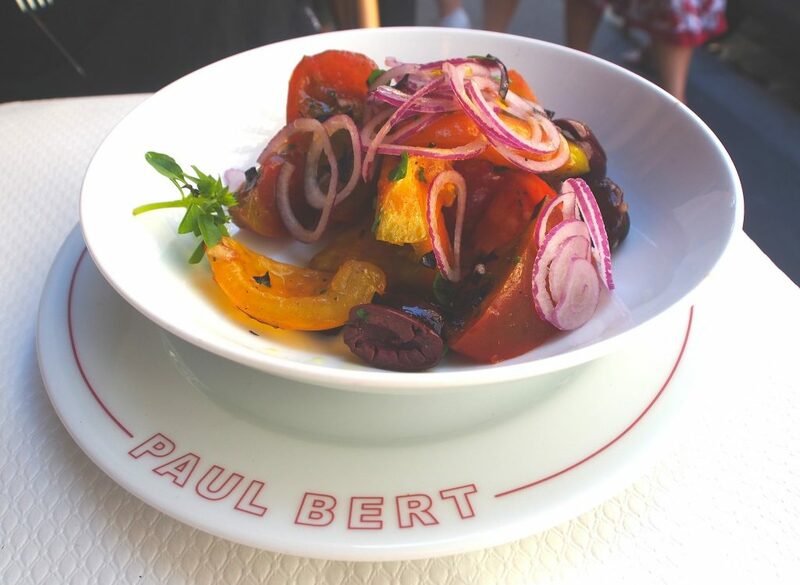 Arousing attention with changing young chefs, innovative cuisine and environment-conscious attitude, Le 6 Paul Bert is a place my chef friends talk about, whereas La Cave du Paul Bert is a renowned natural wine boutique of fabulous selection, serving small plates to go with your apéro. 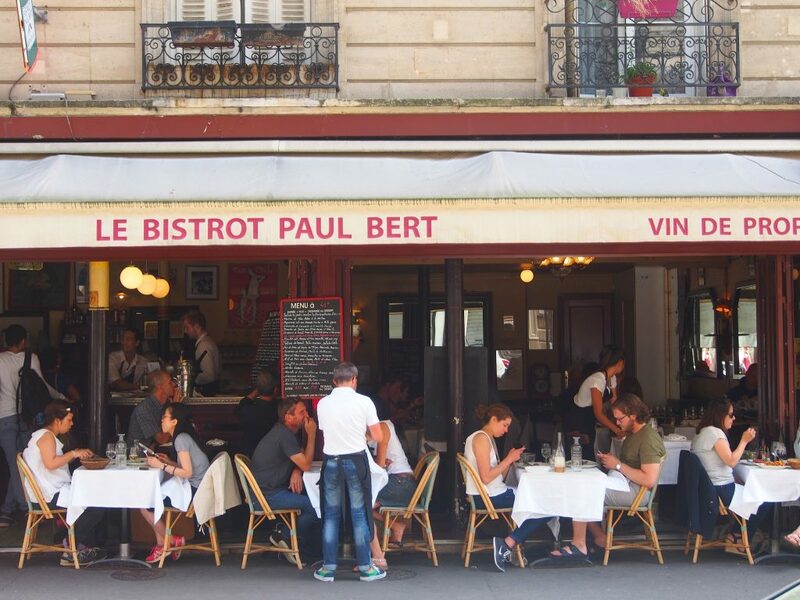 But for a genuine Parisian bistro experience, I definitely suggest you pop into Le Bistrot Paul Bert. This restaurant serves delightful food while making you drool over its amazingly comprehensive wine list. The service is lovely in a traditional way, very much attentive to detail. Even though tourists have also found this place, to me Paul Bert seems to be favoured by many locals. This is a place where you can find a whole clan including chic grandparents eating together. Last time it was mid-August so we opted for light, savoury summer dishes. But this is truly a place where you should go if you feel like eating a massive classic boeuf of the best kind. A colourful summery salad looks perfect on these simple, personalised plates. About wine then? Whether it’s a nice vigneron champagne you are looking for or a true grande marque vintage (such as Salon, Dom Pérignon or Bollinger’s R.D. or VVF), at Paul Bert you find all of them. Their prices are slightly higher than in other Parisian wine spots I favour, but next time I definitely want to opt for a looooong dinner at Paul Bert with some Vouette-Sorbée, Franck Pascal or Vincent Laval. And yes: Paul Bert’s red & white wine list is a stunner! Just because of my crazy infatuation for champagne, in this blog I mostly concentrate making remarks on that. 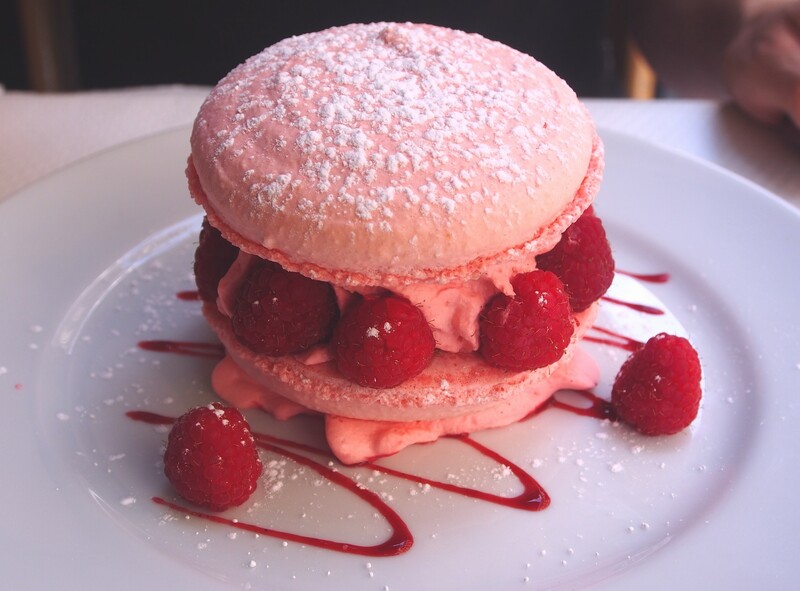 Before this raspberry dream I always thought the best macarons are small in size. Paul Bert’s version changed my view in a minute. I just LOVE this kind of simple cuisine! 18 Rue Paul Bert. Tue-Sat 12–14 and 19:30–23. Metro: Faidherbe-Chaligny (line 8) / Rue des Boulets (line 9). One of my latest Paris discoveries is located on a tiny cross street between Charonne and Roquette. As I step into Le Petit Keller on a cold and windy late October morning, Billie Holiday’s adorably moaning voice welcomes me – and I feel like home the moment I lay my bag on one of the wooden chairs. It is still early, but the texture of café au lait and the simple toast with piquant rhubarb jam convince me so that I decide to come back for a lunch. I love to spend time in restaurants when the staff is still in the middle of their morning routines. The atmosphere is ravishing. An elderly lady wearing lilac is sipping her morning coffee at the bar desk while reading to her old dog. And the contrast between twinpeaksy squared floor and bright green tables delights the eye – let alone the background music that seems to be among the best in Paris. As I return to Le Petit Keller later in the afternoon, the place is completely different. Buzzing with people. 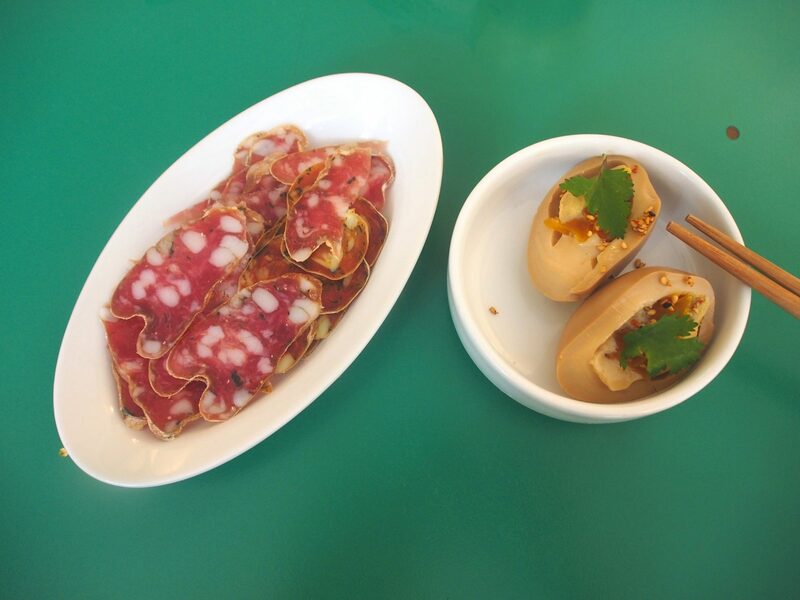 Loyal to my habits, I start with saucisson (which is excellent here) and simple Oriental eggs (see the opening picture of this post). 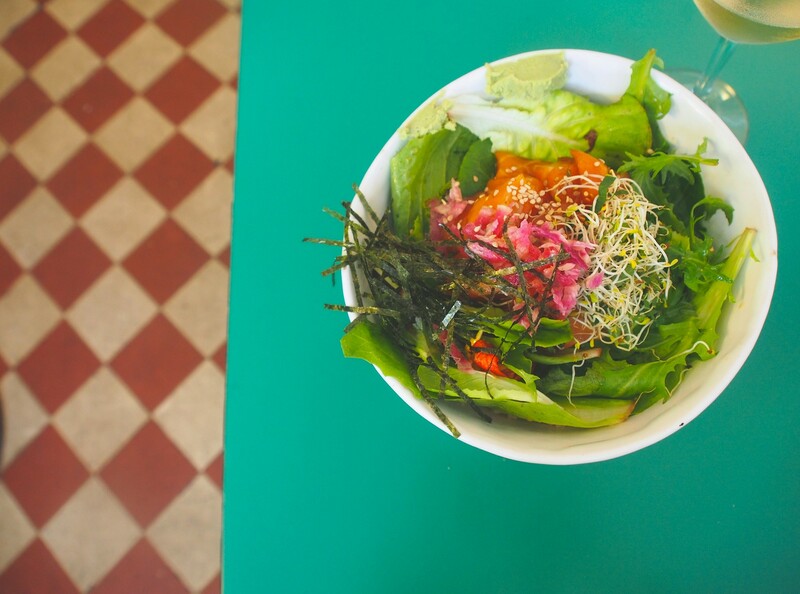 My main course is a big salad of sesame-lime marinated salmon, pickled red onion and wakame seaweed. Simple and tasty, with a Japanese twist. The menu also includes sashimi, donburi and delicious-sounding grilled fish dishes. 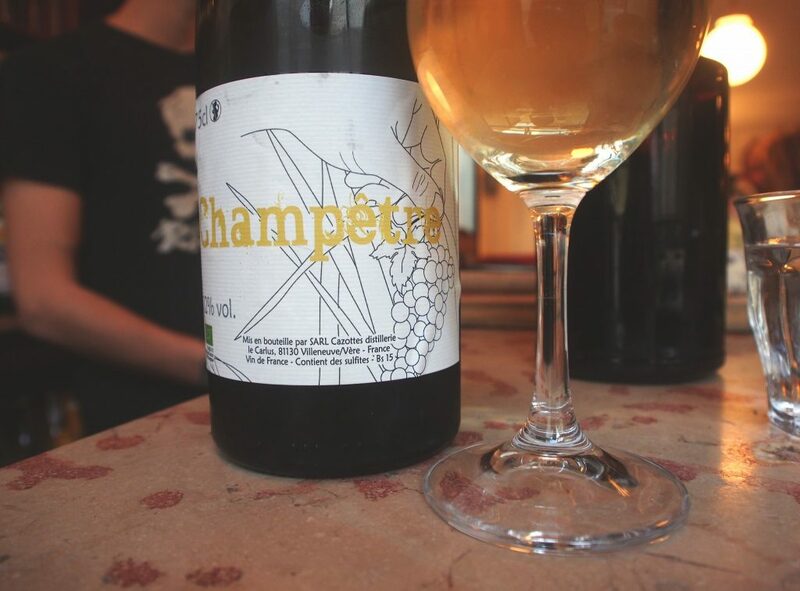 I feel slightly sorry for myself that there is no company with me, since Le Petit Keller has quite many lovely natural wines, such as several Cornelissens, on their list. But on the other hand: it leaves more thirst for the next time, right? This dessert list looked so lovely that I had hard times choosing. But those who know me surely guess what I ended up ordering…? Oh yes, and before I forget… that morning jam! I ask about it, and it turns out they buy it from a nice epicerie & fruit shop next door. So after my lunch I pop in to take a closer look. Unfortunately the rhubarb thing is momentarily sold out, but I purchase other fascinating-sounding jams to take home and some superfresh fruit to eat in the park nearby. Perfect little spot for buying delicatessen souvenirs! 13 Rue Keller. Thu-Fri 8:30–22:30 (breakfast service 8:30–10:30 / lunch 12:15–15 / dinner 20–22:30) , Sat 10–23. Metro: Bastille (line 1) / Ledru-Rollin (line 8) / Voltaire (line 9). 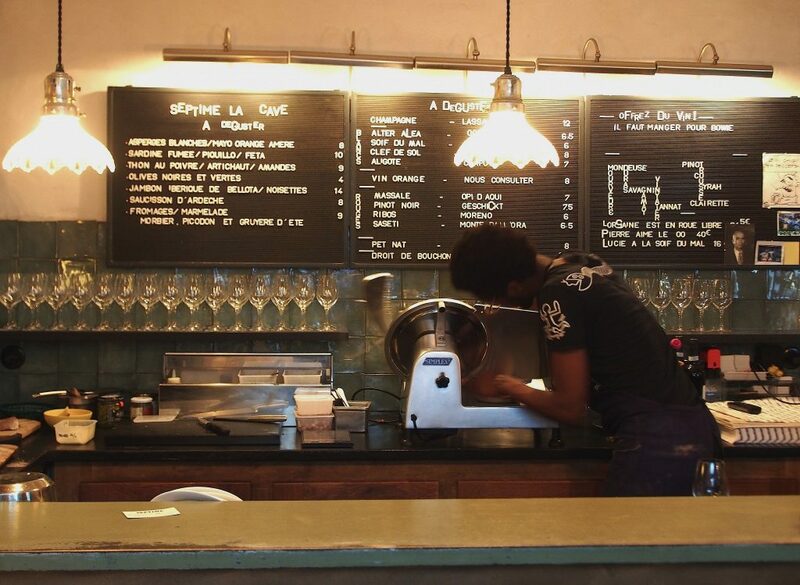 The 11th arrondissement is so full of great wine places that I shall leave the rest for part II (and perhaps III). But to conclude this part, I would like to present a relatively new small cave where I found myself several times last summer. As an entrepreneur I love stories about women who set up their own business. Especially when it’s about wine. Mireille Langlois‘s Delicatessen Cave is one of them. Mireille, oh lovely Mireille. A warm, charismatic woman I met at Ma Cave Fleury some years ago. After I heard she had started as a caviste, I have kept going back to Delicatessen Cave ever since. There are not many people who pour wine with such a grace she does. Local people come in to buy wine for dinner, some stay for a glass. It is lovely to cuddle on those silvery chairs and observe people on the street. 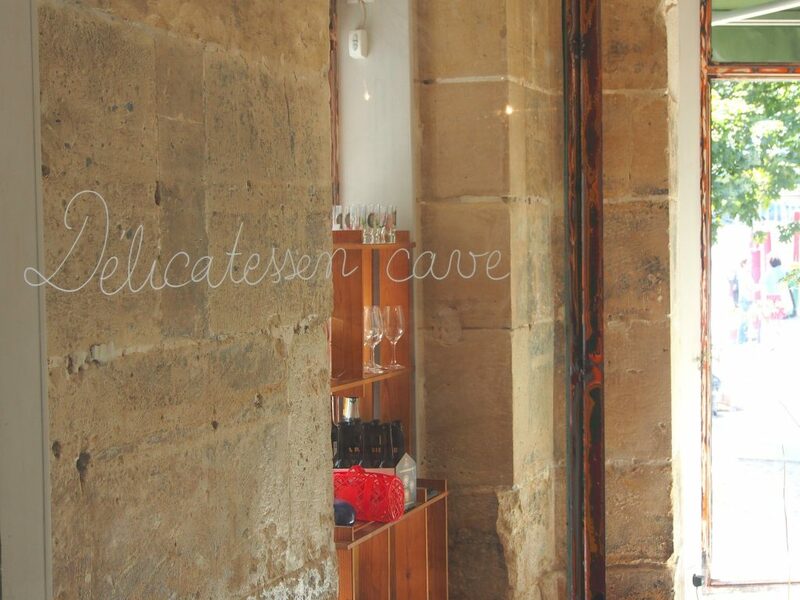 And if you like oysters, pop in on Saturday or Sunday when Delicatessen Cave organises oyster tastings! 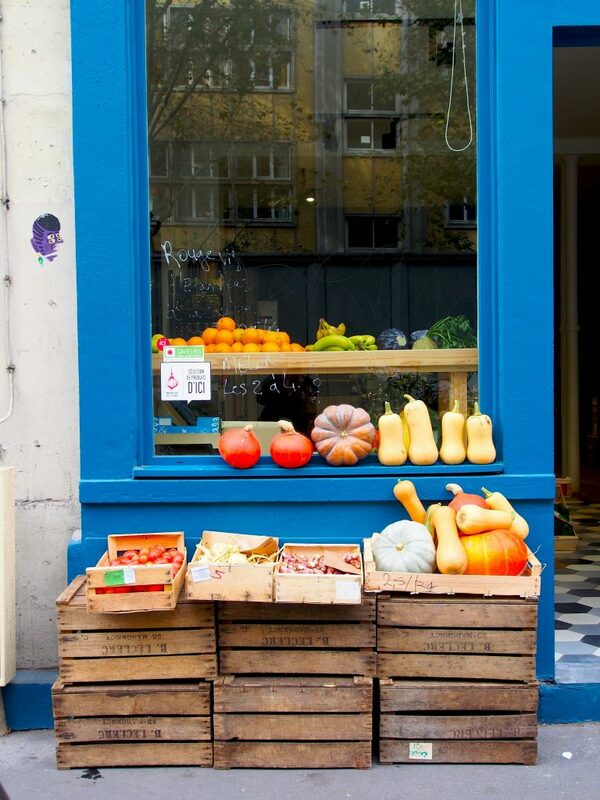 Perfectly located at the corner of Rue Amelot and Rue Timbaud, Delicatessen Cave’s spacious windows bring the daylight in the shop even on cloudy days. 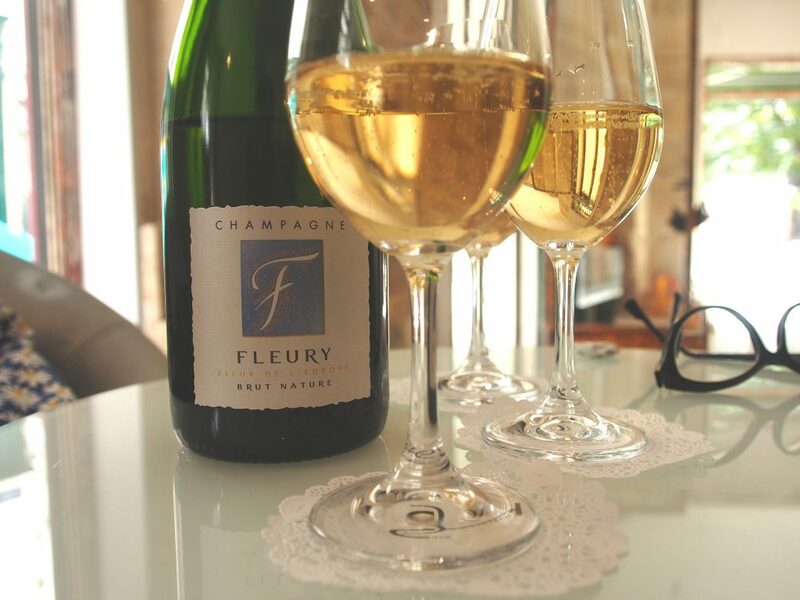 Whenever in Paris, I love to go for some bone-dry bubbles by Fleury, the biodynamic pioneer vigneron family from the Aube. 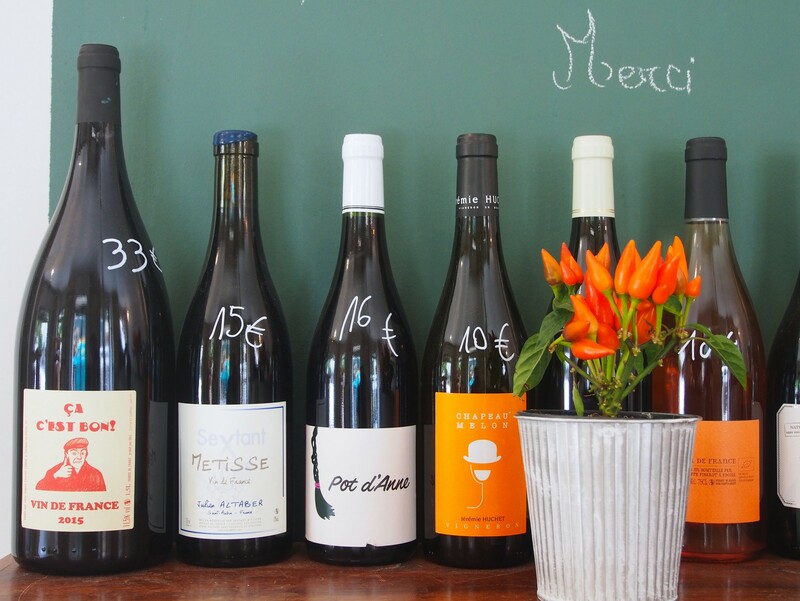 A perfect spot to grab a bottle or two for a healthy natural wine picnic in the parks of Paris: all wines on the shelves are organic and/or biodynamic. 136 Rue Amelot. Tue-Fri 11–13 and 17–21, Sat 12–21, Sun 12–20. Metro: Oberkampf (lines 5 and 9) / Filles du Calvaire (line 8). So your took Luka to Louie Louie for an unforgettable pizza. Yes! He loved it. No wonder! !